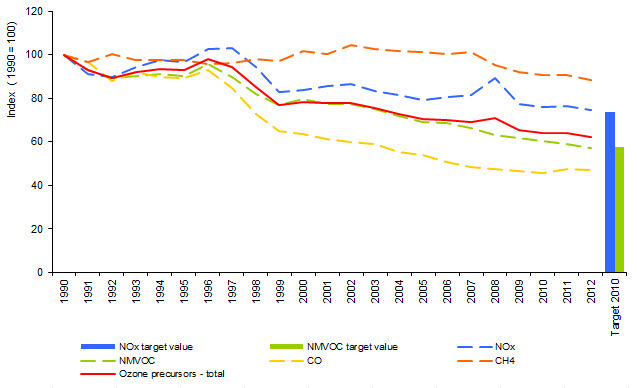 Emissions of ozone precursors decreased by 38% in period 1990 to 2012. 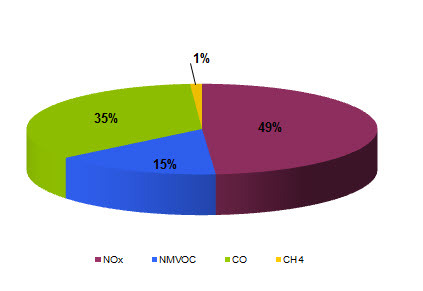 Emissions of nitrogen oxides decreased by 26%, carbon monoxide by 53%, non-methane volatile organic compounds by 43% and methane by 12%. 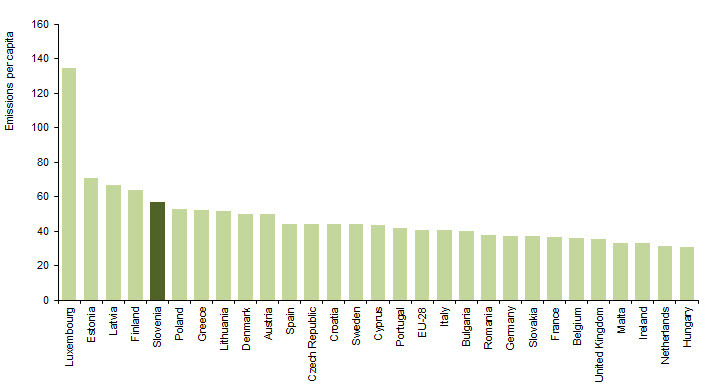 The reason is mainly the introduction of more stringent emission standards for motor vehicles. This measure contributed to a significant reduction in emissions of nitrogen oxides and carbon dioxide from road transport which is the main source of ozone precursors. 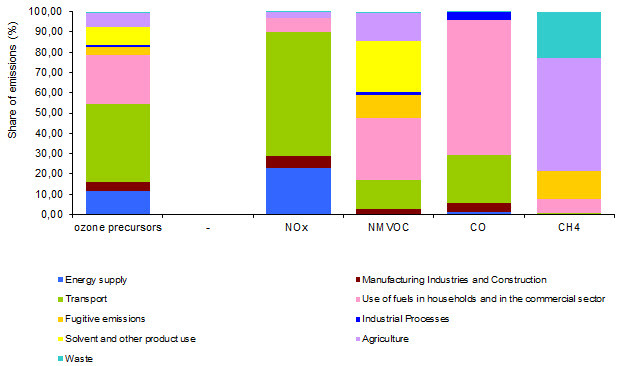 Emissions of non-methane volatile organic compounds decreased in 2012 under the prescribed target value, which must not be exceeded from 2010 onwards while emissions of nitrogen oxides in 2012 exceeded the specified target value.